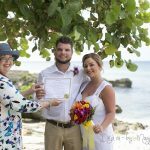 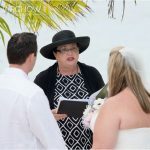 This bride contacted me because of a recommendation from one of her friends, who had been married when she visited Grand cayman on a cruise. 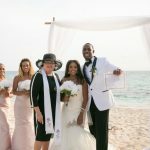 The couple were from Plymouth, MN staying at the Ritz Carlton. The idea was for them to walk down the beach to Governor's Beach and meet me so that I cothe uld do ceremony. 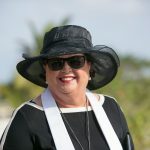 However when we arrived at Governor's Beach there was a big party going on with tents, and music and lots of people, so since we were a small group we moved a bit further down the beach to a spot near the Avalon Condominiums. 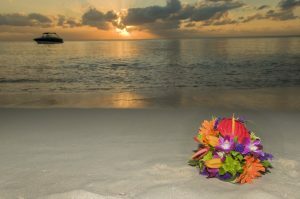 If you are in Grand Cayman as a stay-over visitor, and you want a sunset wedding or vow-renewal, call us. 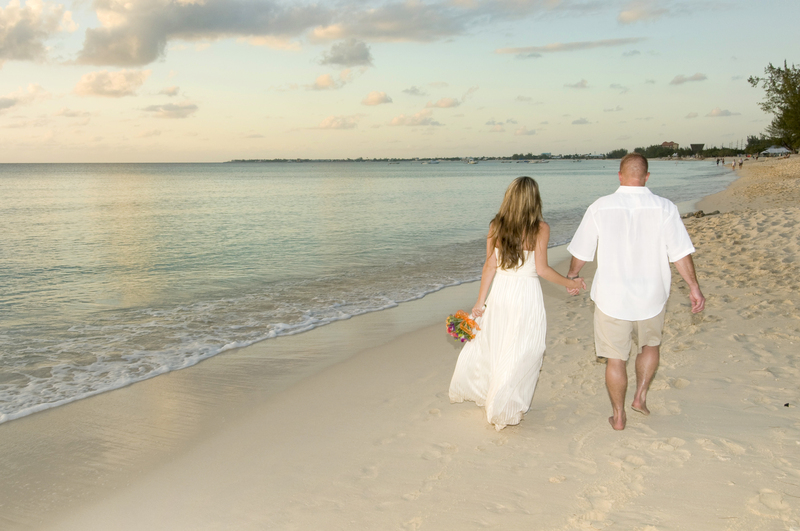 We will be happy to arrange and officiate your wedding ceremony on one of our beautiful beaches. 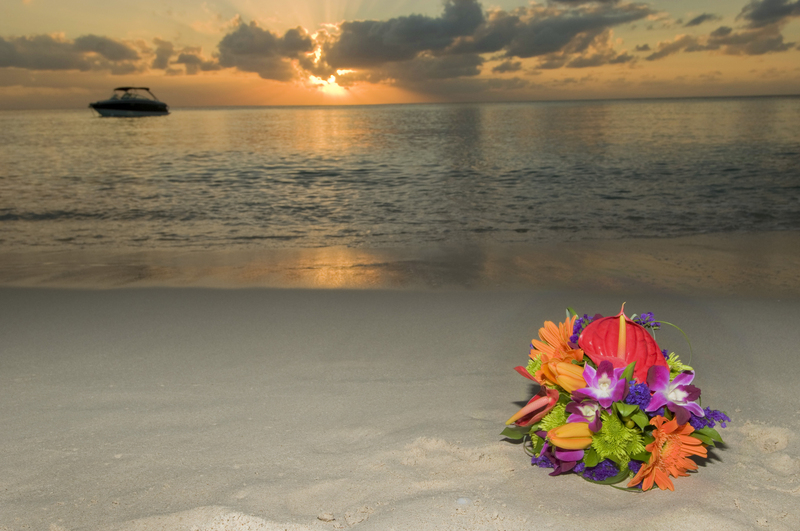 We specialiser in simple, elegant, personalised weddings, wedding packages available.